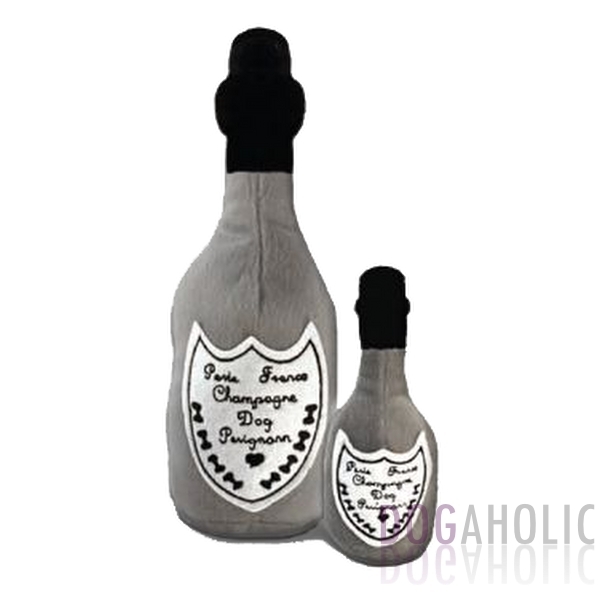 Dog Perignonn Champagne Bottle Toy – back in stock at Haute Diggity Dog! Dog Perignonn plush toy from the Muttini Bar collection of designer parody plush dog toys – where it is ALWAYS happy hour! Now your dog can have his own bottle of champagne! Dog Perignonn plush squeaker dog toy inspired by your favorite bottle of champagne has a squeaker inside for your dog’s enjoyment. Dog Perignonn makes a great gift too for new puppy owners. Imported.